Home Artificial Intelligence AI Ethics Guidelines from Diverse Groups: The Consensus? We are yet to see a holistic framework for the ethical development of artificial intelligence applications that can be applied to every industry in every country around the world. A lot of work is being done by corporate entities as well as academia, not to mention special-interest groups that warn of the dangers of uncontrolled AI proliferation. Nevertheless, we’re still a long way from a consensus on what it should involve. This snapshot of the views of various entities with regard to AI principles could offer a clue to what is really missing in our quest for AI governance of the future. While there are a lot of good points in there, a lot of questions crawl out of the woodwork when you talk about weaponizing AI. For example, where is their stand against using AI in warfare or other harmful acts like cyber attacks? As part of that last point above, the blog does say that they will evaluate the “primary purpose and use” and see if it is “related to or adaptable to a harmful use,” but little more than that. Microsoft has a slightly different set of beliefs, some of which align with Google’s, but only in the broader sense. Again, there’s nothing that directly mentions ways to tackle the AI weaponization issue. 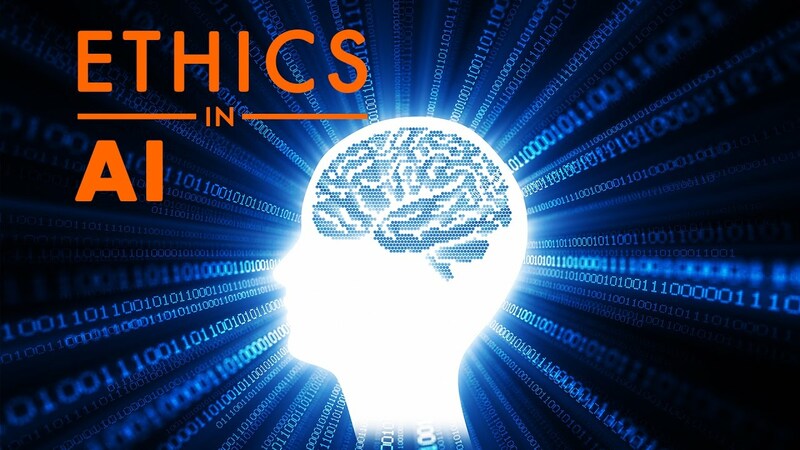 “Designing AI to be trustworthy requires creating solutions that reflect ethical principles that are deeply rooted in important and timeless values. To be fair, neither company has the ability to control what happens at the international level, so it’s understandable that their AI tenets are limited to positive applications. Not condonable, but understandable. So let’s see where the European Union stands on AI principles. The EU’s stance is a lot more inclusive in the press release it issued earlier this month, and it does account for various aspects including how AI can and cannot be applied. This looks a lot closer to what we all want to see, and the very first item covers the misuse of AI, albeit in a very generic way. However, it does bring up “societal and environmental well-being”, which is clearly an allusion to not using AI to disrupt social and environmental balances. It looks like the EU has mulled over this for a longer time than Google or Microsoft. But it’s the Future of Life Institute that clearly outlines and addresses the dangers of uncontrolled AI development. These guidelines have been in place for the past two years, and so far offer the only viable base for a framework of any sort. “Artificial intelligence has already provided beneficial tools that are used every day by people around the world. Its continued development, guided by the following principles, will offer amazing opportunities to help and empower people in the decades and centuries ahead. As you can see, this is a lot more comprehensive, and it looks like we’re getting there. The only thing that’s missing is the involvement of the government, which is crucial for any of this to work. This is addressed by the guidelines arrived at by attendees of the New Work Summit that was hosted by The New York Times earlier this year. After looking at this final list of guidelines, we’re still seeing a gap in how these issues will be addressed at various levels. The New Work Summit does cover collective governance and regulations, but fails to mention that regulatory bodies need a proper framework by which to guide the development of AI. What’s missing is that nobody is telling the government what it needs to do, and that’s the weakest link in the chain right now. The America AI Initiative executive order signed by Trump earlier this year are as lacking of government accountability as the EU’s guidelines. Everybody seems to love telling everybody else what they should do, but offer very vague support for these initiatives. Trump’s order mentions nothing of where government agencies will get additional funding, but rather encourages them to reallocate spending. Not an easy pill for bureaucracy to swallow. Governments in countries like the United States should be the ones taking the first step. They’re the ones who should be taking this bull by the horns and wrestling it to the ground. If AI is to remain subservient to humans, this is where it starts. Unfortunately, that would require a tectonic shift in government policy itself, so don’t hold your breath. We’ll continue to muddle through for the next few years until a serious transgression by an AI entity brings everything to the forefront and makes it an urgent matter of international interest. The question is, are we going to repeat history by waiting for something bad to happen before we react? To analogize, do we need a major global incident like WWII in order to set up a NATO? Can’t we be more proactive and setup a failsafe now when AI is still in its nascency? These are the hard questions governments must answer because such a massive initiative requires financial and other resources that only governments can provide and control. There won’t be any lack of participants, but the participants cannot host the show.